Rachel J Homes is delighted to market this great opportunity for someone looking to get on the property ladder. 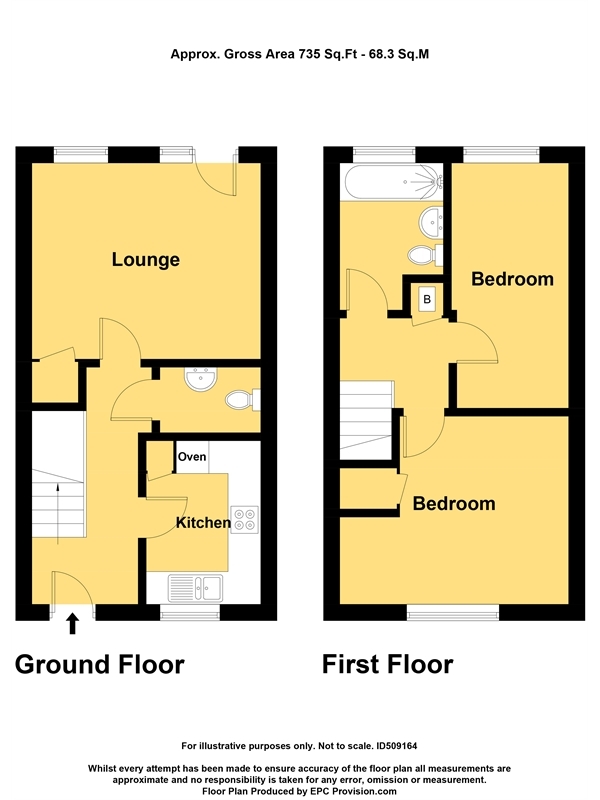 This property is offered on a shared ownership scheme 50% owned and 50% rent. There is the opportunity in the future to purchase the remaining 50%. This Well Presented Terrace House was built in 2012 and comprises of Entrance Hall, Lounge/Diner, Kitchen, Two Double Bedrooms, Bathroom, Rear Garden and Parking at the front of the property. Added benefits of this lovely home include double glazing and gas central heating plus the remainder of the NHBC certificate. This home is offered with no onward chain. Accompanied viewings - CALL NOW!!! Low level WC, wash hand basin with tiled splash back, extractor fan. UPVC double glazed window to rear, part glazed composite door to rear with side panel, radiator, TV point to free Sat dish, under stairs cupboard. UPVC double glazed window to front, range of wall and base units with worktop over, one and half stainless steel sink unit with mixer tap over, built in gas hob, built in eye level electric oven, extractor hood, integrated fridge and freezer, plumbing for automatic washing machine, inset spotlights, under cupboard, lighting. UPVC double glazed window to front, radiator, TV point, storage/airing cupboard with electric heater. UPVC double glazed window to rear, radiator, TV point, phone point, access to loft. UPVC double glazed window to rear, white suite comprising of panelled bath with shower over, wash hand basin, low level WC, shaver point, heated towel rail, inset spotlights. Enclosed by fencing, area laid to lawn, area laid to patio, shed, outside tap, rear access, outside light. One allocated at the front of the property, visitors space available on a first come first served basis.